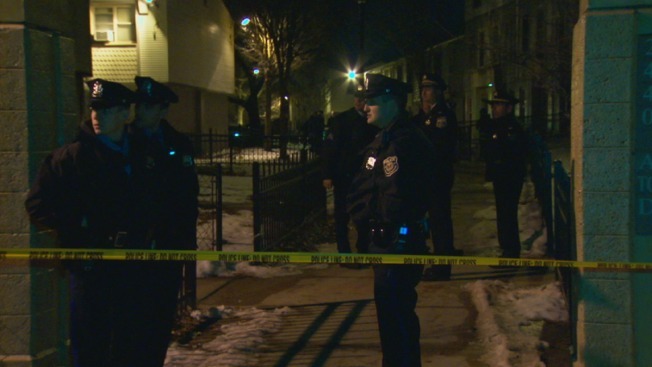 Two teenagers are in the hospital after a shooting in North Philadelphia. Police say a 15-year-old boy was with his 19-year-old cousin at the intersection of 24th Street and Glenwood Avenue near the Raymond Rosen public Housing Complex Friday night around 10:15 p.m. Suddenly the two were approached from behind by an unidentified gunman who opened fire, according to investigators. Both teens were struck and the suspect fled the scene. The teens then ran inside the 19-year-old's home and called police. They were both taken to Temple University Hospital. The 15-year-old was struck once in the hip. He is currently in stable condition. The 19-year-old teen was struck several times in the back, chest and leg. He is currently in critical condition. The gunman is described as a thin, light skinned black male in his late teens to early 20's standing between 5-foot-11 and 6-foot-1. He was last seen wearing a black hooded sweatshirt and black pants. Investigators say they found shell casings as well as a gun at the scene. They continue to search for the gunman.